Hiroyuki Asada made his debut in 1986. He gradually acquired a fanbase with "Mint", and "Renka", and popularity improved greatly with "I'll" . Asada charms the reader with a flowing, elegant line and static description. 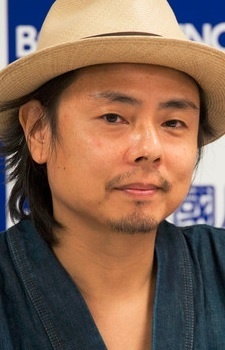 Other than personal works, he collaborated with Shou Tashima (Best-known work: "Psycho") and Ken Obata (Best-known work:"Hikaru no Go", "Death Note"), and he also helped create "Aquarios 3". His Dororo character design is gorgeous! Tegami Bachi is so awesome. Have the artbook for tegami bachi and "Water"... So lovely! Adidas Fever was very horrible. He has a unique drawing style, so cool! I love Letter Bee and his oneshots. I love his drawing style, I really do!